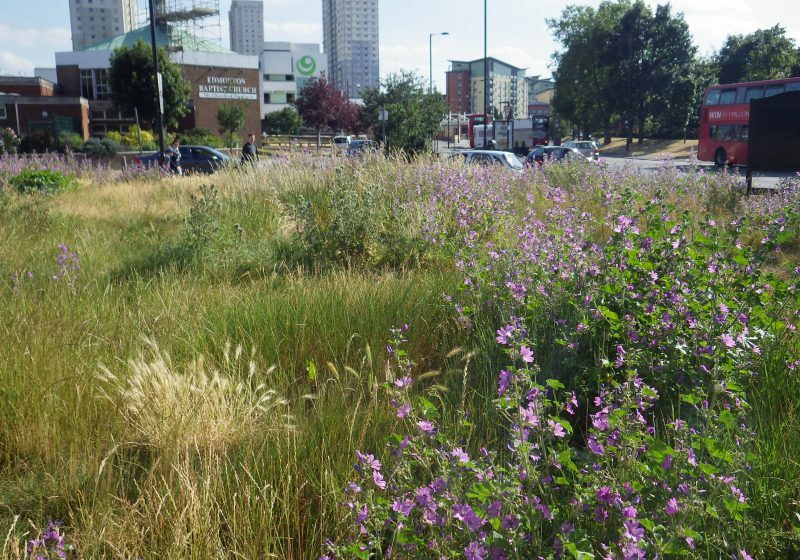 The project received a British Association of Landscape Industries (BALI) National Landscape Award 2017 in the community and schools development category. 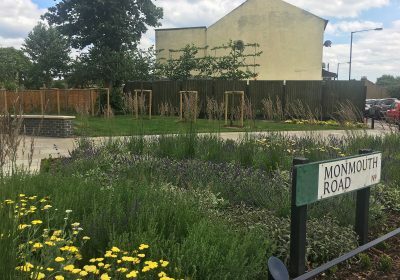 The project was commissioned and funded by the London Borough of Enfield in order to breathe new life into a neglected urban space on Monmouth Road in Edmonton, bringing it back into use as a community space. 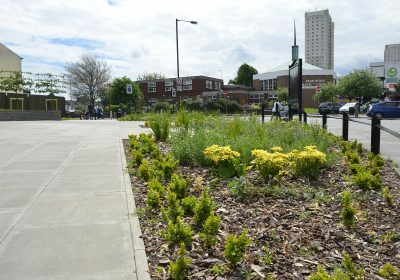 The scheme was part of a wider improvement project in the area organised by the council. We were selected as the principal contractor for the project in recognition of the level of trust between our organisation and Enfield Council. 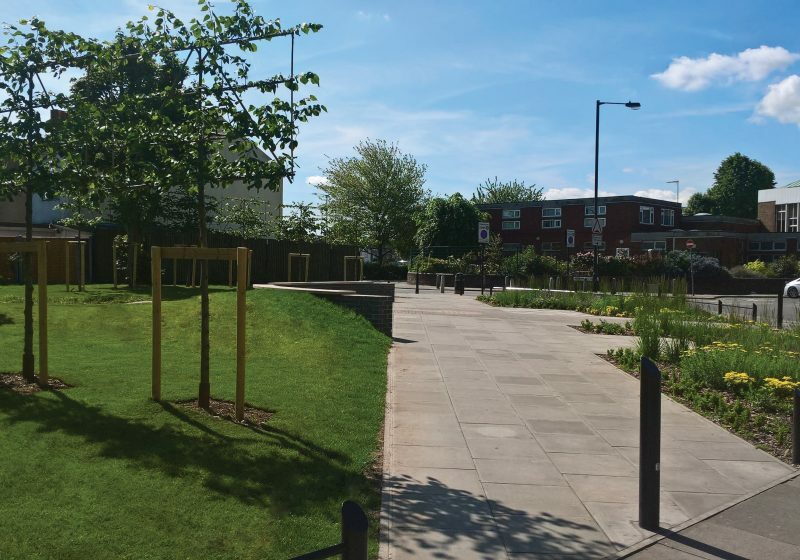 We have been delivering grounds maintenance services across the borough since 2016. 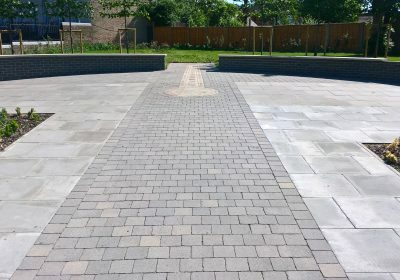 A team of three specialists created a new paving area, implemented new planting schemes and planted trees between November 2016 and March 2017. An innovative approach to the delivery of the landscape project was to involve the local community in the redevelopment of the green space. The children from a gardening club at nearby St Edmund’s Primary School were invited to help plant over 800 shrubs and bedding plants. It was also an opportunity for Glendale’s staff to pass on their experience and expertise to the next generation. A request was made by the client to alter the block paving shortly after its completion in order to add more visual interest to the site. 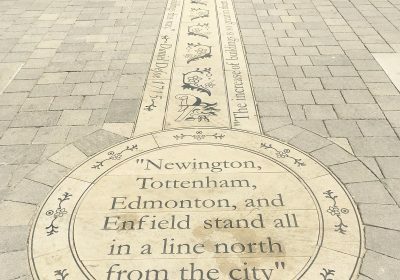 Over 200 of the previously laid ‘Tegula’ blocks were carefully removed and replaced with a series of bespoke paving blocks, each handmade and featuring a word from a quotation about the local area inscribed on the surface. The engraved walkway leads pedestrians into the space, encouraging engagement with the new communal space. 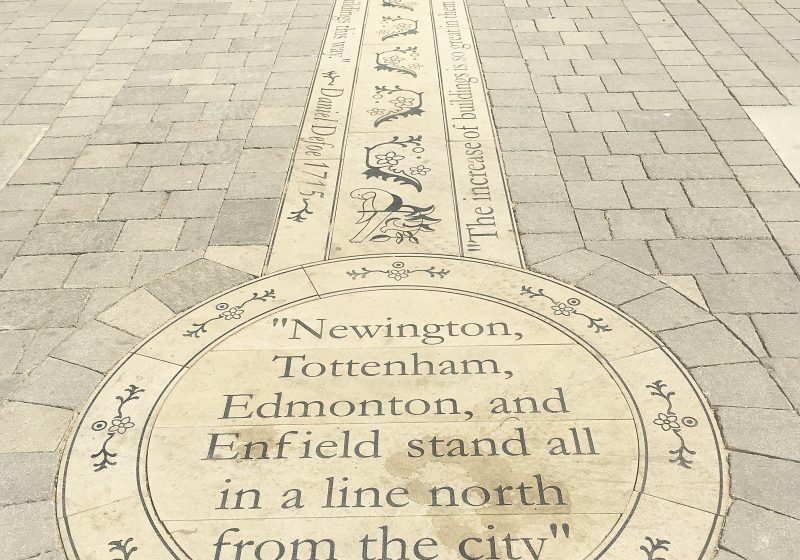 It is one of the key features of the finished landscape and ties in with the overarching theme of bringing the space back to the community. The site was subject to daily visits to water and weed by Glendale’s team over a two month period after completion. Monmouth Road Green has since been amalgamated into the contract delivered by the organisation and will receive a regular grass cutting service, and three visits a year to maintain the beds and shrubs. “Involving local school children with aspects of the planting was a highlight and would certainly have enhanced their education and appreciation of the environment. 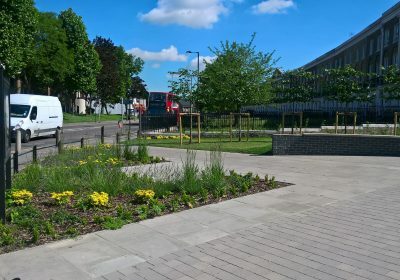 “A crisp modern planting scheme provided a pleasing aspect near the roadside, whilst the native trees, shrubs and wildflower areas to the rear will benefit nature. Greg Allen of the British Association of Landscape Industries (BALI).